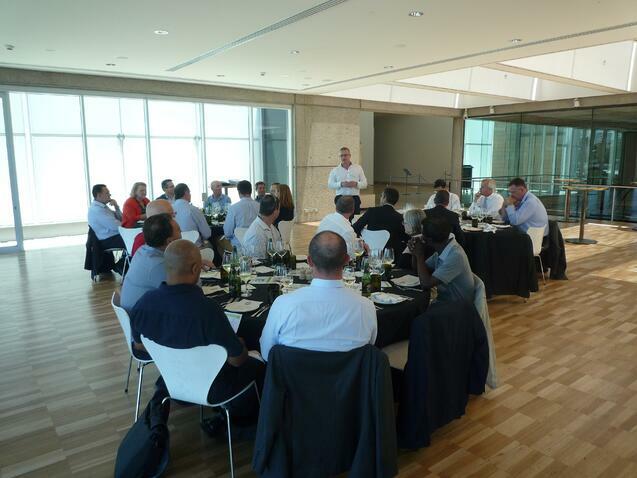 The diversity of business sectors represented at our recent JPAbusiness luncheons in Sydney, Melbourne and Orange made for quite a unique experience at each event. It meant people were very comfortable sharing quite specific insights about the challenges, issues and opportunities facing their businesses – insights they might have hesitated to share in a more competitive environment. Among the industries represented were construction, finance, app and technology development and investment, architecture, training and professional development, government, aged care, horticulture, capital investment, labour hire, civil engineering consulting, not-for-profit, insurance, manufacturing, agribusiness, logistics, sporting goods retail, community services, accounting and legal – and that’s not an exhaustive list! Each luncheon kicked off with an initial presentation by myself about the global environment for business and some of the factors that are impacting investment and interest in Australian business. How to make the most of opportunities in Asian markets. Various members of the JPAbusiness team addressed these topics and we also invited some of our guests to share their own experiences in these areas. 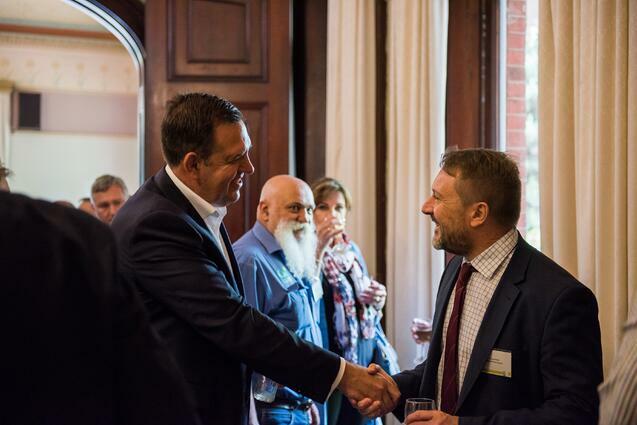 For example one of our clients, who sells bulk water to bottled water suppliers throughout Australia, spoke about tapping into export opportunities in Asia-Pacific countries, outlining some of his successes and challenges! Another contributor in Melbourne talked about trend he was seeing for China to invest in businesses in Australia and New Zealand in a more strategic way than buying the whole business. He said Chinese investors were looking to secure resources (e.g. food supplies) and other value by investing as a partner in specific businesses, but noted that instead of taking a larger risk and securing 100% ownership, they were opting to buy a 20% or 30% strategic stake instead. This means that as well as leveraging their own expertise, contacts, etc. they are retaining the Australian owners’ expertise as well. 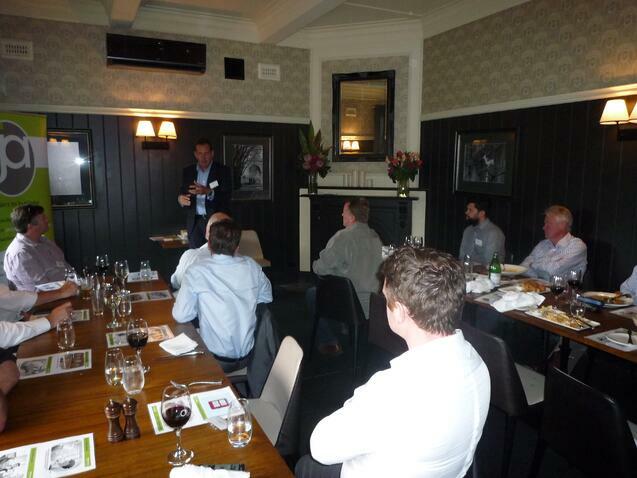 One of the issues raised at the Sydney and Melbourne luncheons was ‘how to bring a partner into your business’. Communication – Make sure there is open and regular communication all the way along. The issues above are all important to keep in mind if you want to cement a deal, but don’t forget, you don’t have to come out with a deal every time for this process to be considered ‘successful’. When looking at joint ventures, partnerships and bringing shareholders into your business, it’s important to remember that it simply may not stack up. That is not a bad thing – it’s part of evaluating whether the risks, returns and motivations all make sense for everyone considering the deal. This was highlighted by one of our clients during the Sydney luncheon, who talked about his own experience of establishing a company to pursue a meat processing opportunity. JPAbusiness assisted with working through the key issues and dynamics associated with bringing the partners together and also identifying important risks and provisions for future events, including partner disagreements and exit. Our client’s advice was that during the process outlined above, it’s really important to have someone advising you who takes a practical approach to setting up a partnership or shareholding. He said in those initial stages of determining whether to go ahead or not, it was important to have an advisor with a practical understanding of the business issues and risks, as well as the relevant legal and governance issues associated with a joint shareholder arrangement. The luncheons appeared to serve a two-fold purpose for guests: sharing insights on key business issues, plus networking. The sharing of business insights by experienced business owners and directors from a broad cross-section of sectors was really insightful. Guests also expressed their appreciation for the opportunity to take time out from busy schedules and think about their businesses from a high level, alongside other successful business owners. It was also definitely a networking opportunity: guests were provided with a list of all attendees as they arrived and were able to catch up with other business owners and managers before and after lunch, as well as chat with their table neighbours during the luncheon. Our phones have been running hot with calls from business owners wanting to make connections with others who were at the events; it certainly provided a platform for people to look at opportunities. 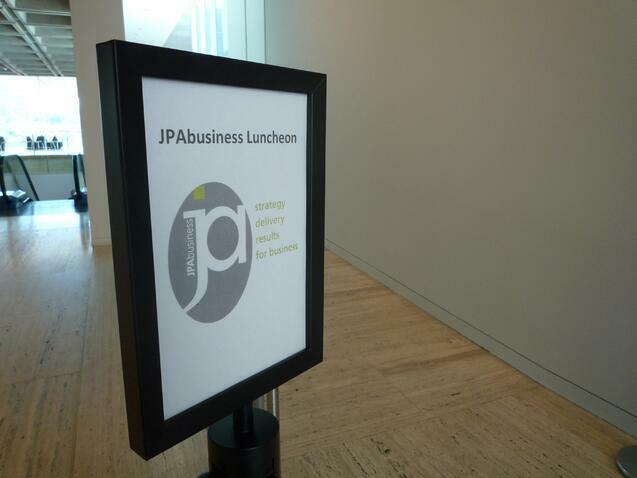 Our business luncheons are part of JPAbusiness’ overall business approach: to help businesses value, utilize and optimize their capital, people and ingenuity. The luncheon format provides an intimate forum for business owners to level and assess how their business approach measures up. If you’d like some advice and assistance on how your business is tracking feel free to contact one of the team at JPAbusiness on 02 6360 0360 for a confidential initial discussion.